Dorothy Copeland is Vice President of Global Business Partners for IBM North America, with responsibility for the IBM partner revenue, and development of the partner ecosystem. Through IBM's broad technology portfolio, she enables partners to solve any client's business challenges and build new revenue-generating offerings for customers. 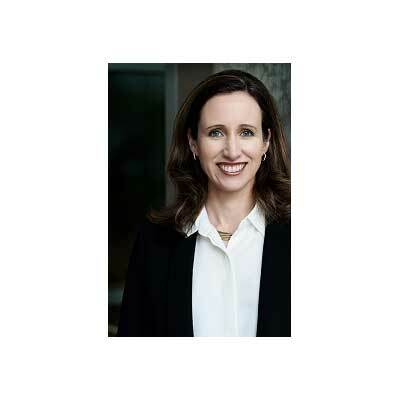 Dorothy joined IBM after seven years at Amazon Web Services (AWS), where she led AWS Global Partner Programs, including the AWS Partner Network, AWS Channel Reseller Program, AWS Managed Service Provider Program, and AWS Competency Program. At AWS, Dorothy designed one of the industry's first cloud infrastructure channel programs, generating significant revenue across thousands of partners around the world. Prior to AWS, she was the VP of Business & Ecosystem Development for San Francisco-based security start-up, Cloudmark (now owned by Proofpoint). Prior to that, she held sales, BD and marketing roles at server management provider, Avocent (now owned by Emerson) and at storage provider, ADIC (now owned by Quantum). Dorothy's technology career has spanned more than 20 years, and she brings a deep understanding of new business models and a successful channel track record to IBM's global business partner organization. She is passionate about building and growing partnerships, and leading diverse, high-performing teams. I have enabled strong revenue growth of IBM's North American Business Partners across all major IBM brand offerings over the past year. I accomplished this by focusing my team on enabling and growing partners of all sizes and capabilities - from software start-ups building their first Watson AI solutions, to regional product-specific partners, to large national partners that offer solutions on all of IBM's technology. We conducted many partner enablement trainings, such as design thinking for technical teams, value-based sales training, healthcare and financial services solution development, as well as cloud and AI technical trainings. We also enabled NA partners to develop business-ready AI solutions via our Watson Build Challenge. Within 10 months, NA partners built 95 new Watson-based prototypes, including inventory tracking, energy solutions, financial services ratings engines and even an AI-based solution for the blind. Further, I have prioritized partner engagement with our sales organization by creating a industry-focused partner development team to recruit, enable and grow partners focused on vertical markets. Finally, in everything we do, I encourage my team to take a positive, action-oriented approach, listen to partners and be willing to try new things to further the partner business. My top goal this year is to significantly scale the IBM business through partners by creating strong sales engagement between IBM sellers and partners. IBM partners provide a wealth of innovative solutions on IBM technology that enable clients to use their data in new ways, create new streams of revenue and solve business challenges with unprecedented efficiency and scale. Closely related to this, we are also making it easier for partners to work with IBM, through program improvements, enhancements to partner marketing and continuing to listen and respond to the needs of our partners. I received CRN's Channel Chief recognition for 2018, and I was named to the top 100 Women of the Channel by CRN in 2017. I admire Sheryl Sandberg, not only for the inspiration that she's provided through her book Lean In, Circles Mentoring program and her career leadership, but also for the way that she has been open about her own life, specifically, the unexpected passing of her husband several years ago, as she shared in her book, Plan B. I find her honest and open approach to the challenges of life, executive leadership, and experience as a working mom to be extremely refreshing and inspiring. She is strong, resilient and confident in the way that all women aspire to be. My generation was given mixed messages about women's roles, as there was still an undertone in school and society that boys were smarter, were better leaders and could have more interesting careers than girls. I would tell my 16-year-old-self to not be hesitant to take on leadership roles, to take more chances, to try more things and to be more confident. I am proud that my 6-year-old daughter is growing up to be confident, is encouraged to be a leader, is willing to try anything, and knows she can have any career she chooses. If I had more time, I would master developing applications on IBM Watson. I'm fascinated by the innovation of our partners in the AI space and I believe we are only at the beginning of what AI can do for business, consumers and society. I believe that we are starting the next era in technology, what many are calling the Intelligent Era. Today, IBM partners offer many solutions on Watson AI, including cognitive call centers, smart career counseling solutions, intelligent manufacturing solutions, predictive healthcare, AI-powered shopping experiences and weather-smart professional sports arena solutions. "Thank You for Being Late: An Optimist's Guide to Thriving in the Age of Accelerations" by Thomas Friedman. It addresses the accelerated pace at which technology is reshaping business, relationships and society at large and makes me feel fortunate to work in the technology industry. My favorite quote is, "If you look back over human history, only a few energy sources fundamentally changed everything for most everyone - fire, electricity, and computing. And now, given where computing has arrived with the cloud, it is not an exaggeration to suggest that it is becoming more profound than fire and electricity."